Sign up here to receive my absolutely free-of-charge, but charge-filled, monthly newsletter for more on Jane Austen in the news, on what I'm up to with her, and on the history of powerful women. 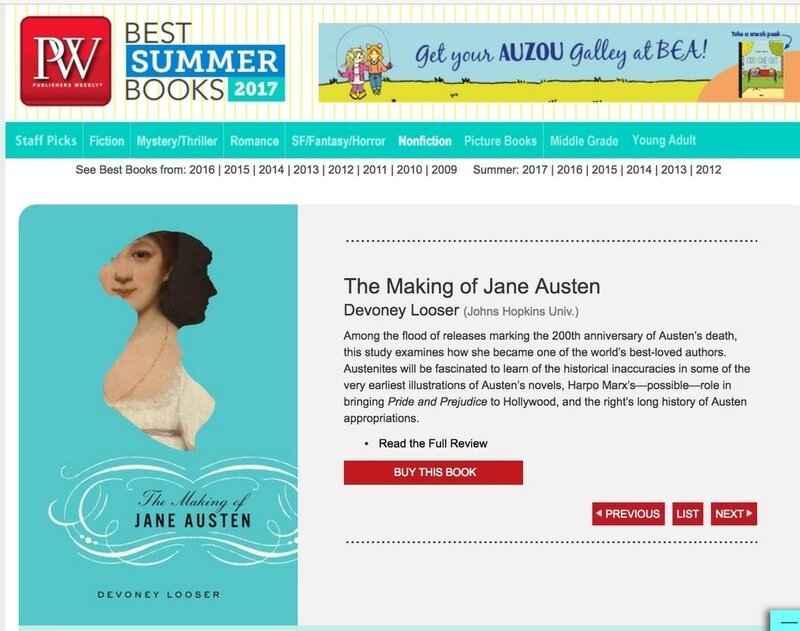 ​The Making of Jane Austen was named to Publishers Weekly's Best Summer Books (Nonfiction) for 2017 and its Top 10 Forthcoming Titles in Literary Criticism, to Real Simple's 7 Books to Commemorate the Life of Jane Austen, and to Bustle's 13 New Nonfiction Books by Women that Will Nourish Your Brain All Summer Long. ​Looking for 3 minutes of super-awesome, Jane Austen rollerskating action with bonus Janeite history? Watch The Making of Jane Austen book trailer. Sign up for the monthly newsletter, for more on Austen in the news and the history of strong women.